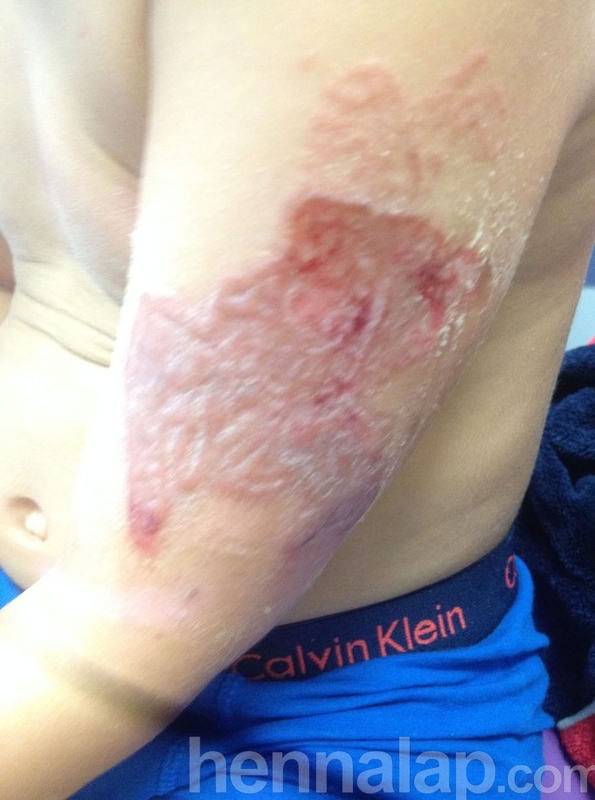 A three-year-old-boy went into toxic shock after a holiday henna tattoo left him struggling to breathe in a hospital burns unit. 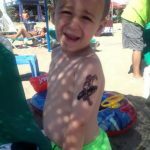 Ellis Burke’s arm started reacting to the black henna Spiderman tattoo almost immediately after he had it done while in Marbella, Spain. Days later back in Oldham he began struggling to breathe, had a high temperature and started vomiting, prompting his worried parents to call an ambulance. He was taken to the Royal Oldham Hospital and later discharged. But the next day when he was no better his mum took him to the Oldham Integrated Care Centre where they diagnosed severe toxic shock and immediately sent him to the children’s burns unit at Manchester Royal Infirmary. Little Ellis was forced to spend the night there while they stabilised his condition and cleaned up his wounds. 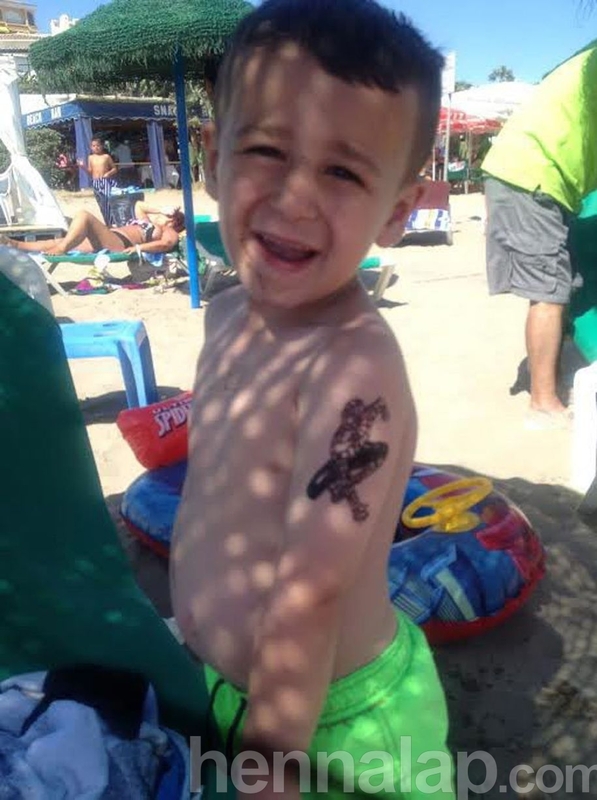 His mum Shabana Murray says the whole thing has been a terrible ordeal for Ellis and she warned against anyone having the black henna tattoo, which contains a chemical called para-phenylenediamine (PPD) and sometimes even kerosene or petrol. 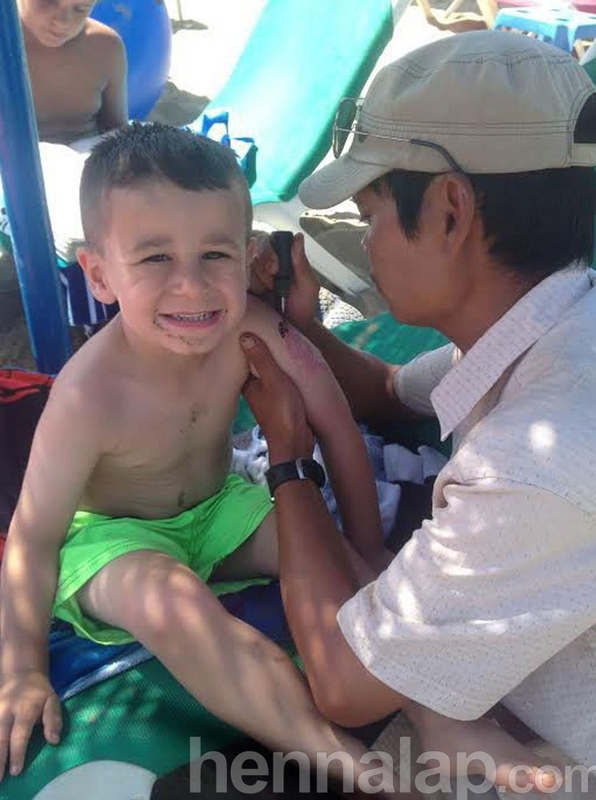 “As soon as he had it done it started to react so we washed his arm in the sea but it made no difference,” Shabana told the Manchester Evening News. “The next day it started to blister so we went to the pharmacy and got some anti-allergy medication but it just got worse and worse. “As soon as we got home we went to A&E where they just prescribed antibiotics and more Piriton but they didn’t clean it they just put the dressing back on. Shabana says she could never had imagined something so terrible and dangerous would have come from a temporary tattoo. 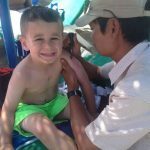 “We’ve been going to the same resort for the last four years and my eldest son has had it done several times at the same place by the same guy,” she said. In fact Ellis had one done the week before and was fine. “People need to know about this and basically avoid having one because the consequences are serious and can be life-threatening. “I knew nothing about this PPD until I came back and read about it online. As far as I know its use in henna tattoos is banned in this country. “I now have to clean and dress his arm three times a day and it’s likely there will be permanent scarring.